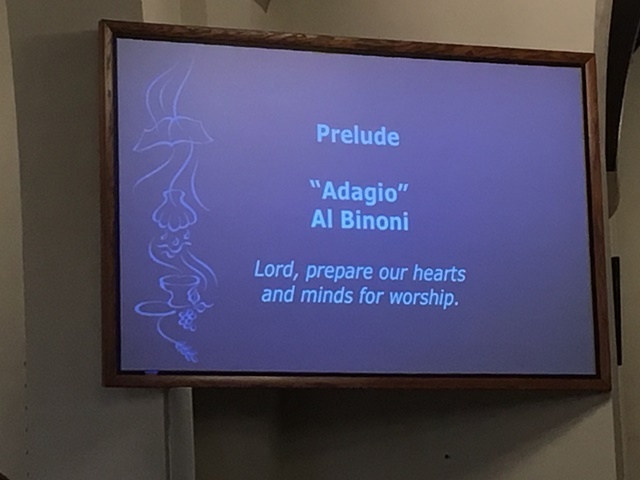 One of the first classical music pieces I could ever identify by name was Adagio in G Minor by Tomaso Albinoni. I had it on a cassette tape and listened to it over and over in my early teens. Last night before church, the organist played an organ arrangement as the prelude to worship. When the screen showed what he was playing, I laughed out loud. Fortunately, there were people chit-chatting, so my laughing during a somber time on the Christian calendar was not a disturbance. The person who prepares the slide mis-heard or mis-understood the name of the composer. His last name became Binoni. First name? Al. Ha! I explained it to a couple of people who were sitting around me, but they didn’t think it was as funny as I did. Funny! I am mostly impressed that you knew the name of a classical music piece at a young age. This post made me smile. It reminds me of one I read not too long ago….. Thinking of you today. I remember you were on Maui last year at this time to celebrate Easter with us!! I bet I know who else caught it (since she posted something about this on her Facebook page) – but to be honest, until I read your blog I didn’t realize this man’s first name was actually Thomas. It’s much funnier once you know that. Just saying.